First – it is good when these kinds of reports and stories are provided. Sample, sample, sample, sample. Explain, explain, explain. explain. 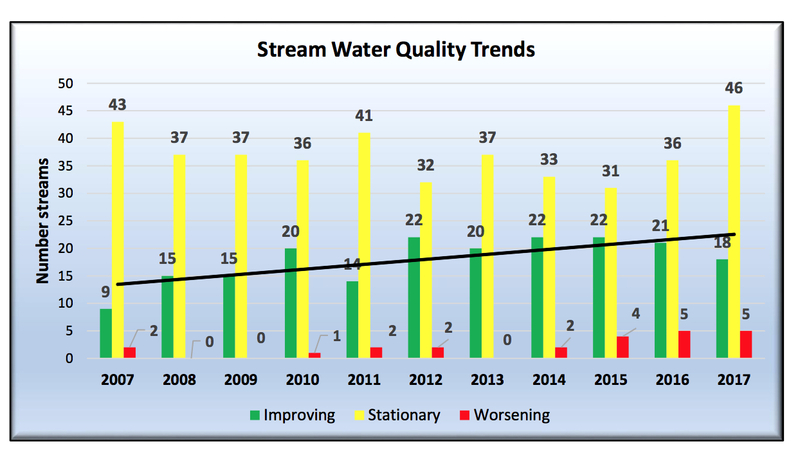 It really helps, when water quality in a stream is improving, to have some words about who did what to actually fix something.